Come explore the fun of clay! 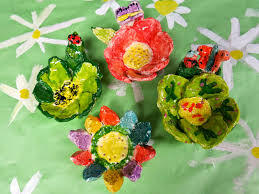 Try out slab hand-building techniques to create and decorate your very own clay flowers. Leave your flower behind for the firing and two weeks later come back to pick up your flower creation. This is for all students ages 8 and up, but students under the age of 12 must be accompanied by a registered adult.